If last year's PSN update turned your extra PS3s into paperweights that can't access your account, there's a new petition demanding Sony set things right. Last November's update for the PlayStation Network was notable because it reduced the number of PS3's that could be linked to a specific PSN account. The update dropped the number down from five devices to two, a move that was largely met with indifference from the general public. Or so we thought! A new petition over at Change.org is asking SCEA Chairman Kazuo Hirai and SCEA Senior Director, Corporate Communications & Social Media Patrick Seybold.to reverse this decision because it (allegedly) turned peoples' consoles into "expensive paper weights." 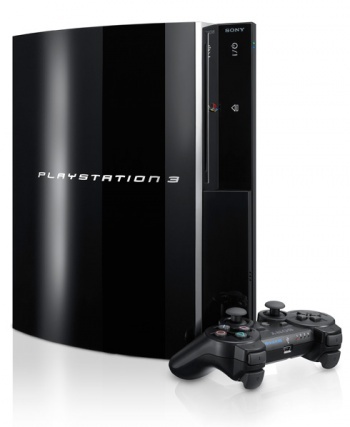 Many families purchase more then 2 PS3's and were able to fully use each console until the recent changes on 11-18-2011 stopped any activated PS3 beyond the first two from being able to download any more from the PSN. This has effectively turned many PS3 consoles into very expensive paper weights! Currently, there are only 63 signatures on the petition, but you can head over to add your name to the list if this is something you feel strongly about. Personally, I'd like to know what number constitutes "many," mainly because I don't know of any households with more than two PS3 consoles operating on the same PSN account.